Elina Svitolina has spent a media-week in Kyiv organized by Top Five. After the brilliant triumph in Singapore, where Elina became the first Ukrainian player ever who managed to claim the WTA Finals title, Top Five received lots of requests from media and decided to conduct Elina’s first significant press conference in the capital of Ukraine. The event took place on 6 November at Hilton hotel and gathered all the leading medias of Ukraine. Stephane Gurov, the head of Top Five, and Elina Svitolina had spent almost two hours answering the questions of the journalists. Moreover, Elina has also had a huge meeting with the fans which took place in “Gulliver” shopping mall and was organised with the support of Nike. 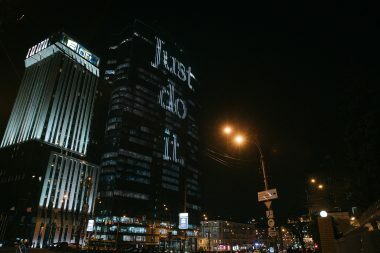 A big LED banner with the motivational motto of Nike (Just Do It) had been also located at one of the walls of the shopping mall throughout the entire stay of Elina in Kyiv. Elina got a warm welcome from the fans, tried to answer all the questions, sign the cards and take photos with them. During the week Elina had also participated in numerous TV shows on the most popular channels, had a photoshoot for a glossy magazine and attended a charity event together with the famous Ukrainian boxer Vladimir Klitschko. 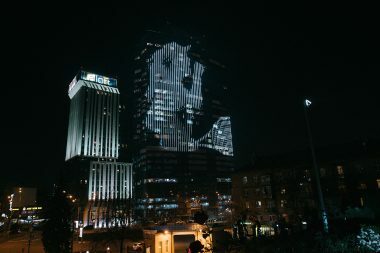 Top Five would like to thank all its partners: “Hilton” hotel as well as “Nike”, “GEOS” and “Morshynska” companies for their help in the organisation of a bright media week of Elina Svitolina in Kyiv.